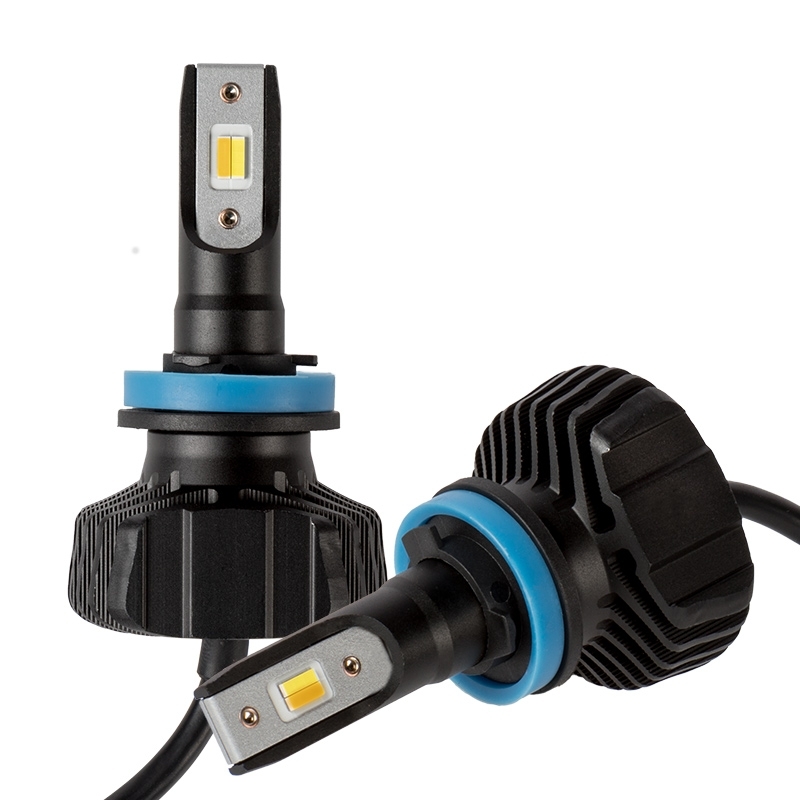 Increase your safety and visibility in any weather with these H9/H11 dual-color LED headlight/fog light bulbs. The single-beam LED headlight bulbs emit 4,500 lumens of cool white or yellow light per set (2,250 lumens each). Yellow light cuts through fog and improves visibility in the rain. Easily switch between colors by powering the lights on/off. These bulbs have integrated heat sinks instead of short-lived fans or bulky braided heat sinks. This allows for increased longevity and easier installation in tight spaces. The LED bulbs last 13 times longer than halogen bulbs and 3 times longer than HID bulbs. LED arrays in each bulb are designed to mimic the filament in halogen bulbs—creating a closely matched beam style. These CAN Bus compatible bulbs operate on 9-32 VDC. This long-lasting kit includes 2 H9/H11 LED headlight bulbs. Price per kit. This is an open box product. Full warranty applies and product has been tested to be in full working order.